We are a Walking Dead family. We've been waiting patiently for MONTHS for it to return and tonight is the NIGHT! WOOHOO!!!! So to celebrate I made some zombie cupcakes! 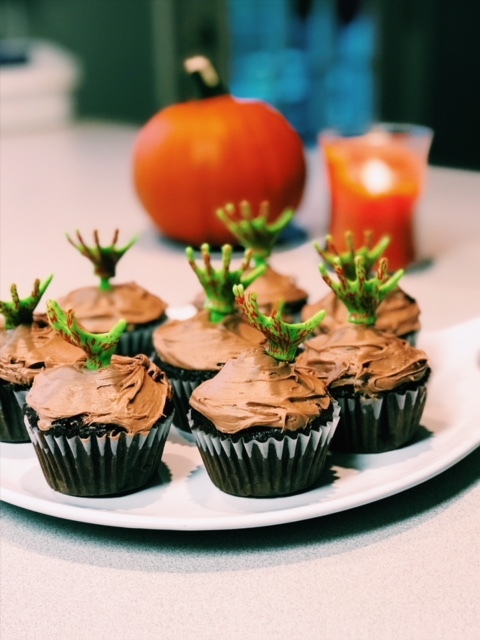 I bought my zombie hands here and just used a basic chocolate cupcake recipe and, I'll be honest, I used store bought icing. Here's the recipe I used for the base of the cupcake. 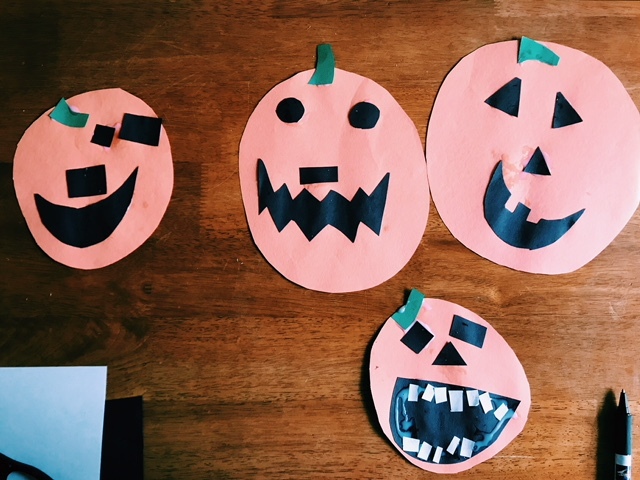 I think they turned out pretty cute! 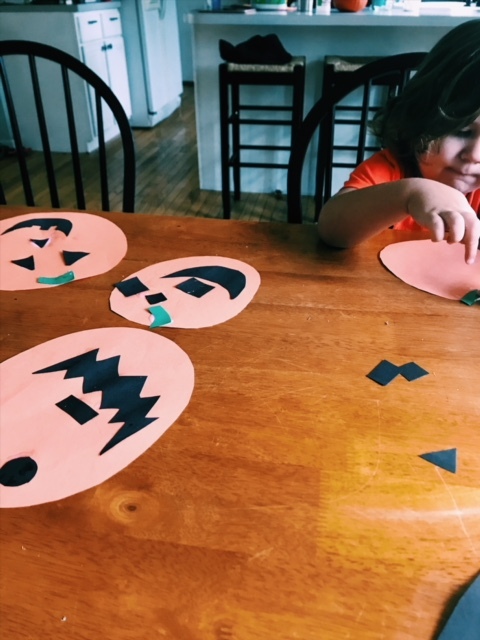 And while they baked I did a Halloween craft with Maverick, he was begging to go outside but we finally got a cold front, so it's a dismal, cold rainy day and I could not be happier!! 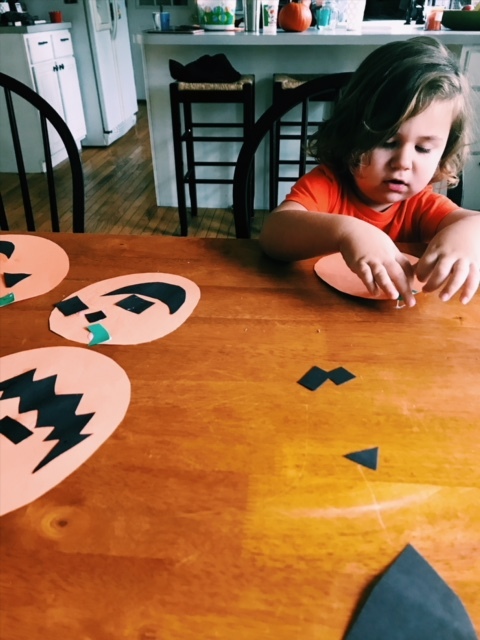 Basic Halloween craft but we had fun. 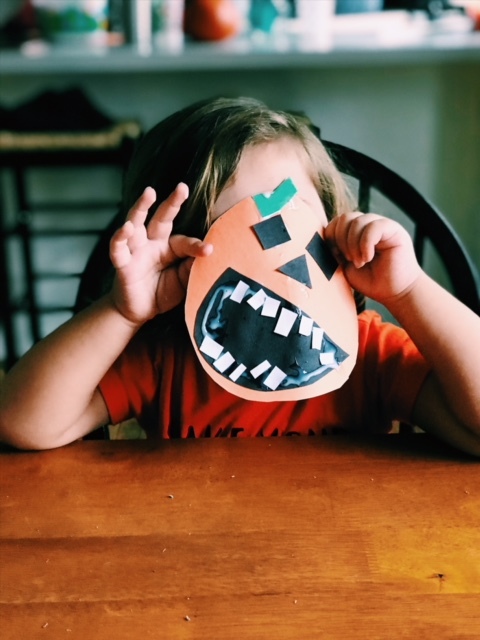 31 Days of Halloween Fun!